Dodgers’ 3B Turner Suffers Broken Left Wrist – The reigning National League champion Dodgers are going to be without their red-headed slugger on Opening Day, and possibly for a while after. 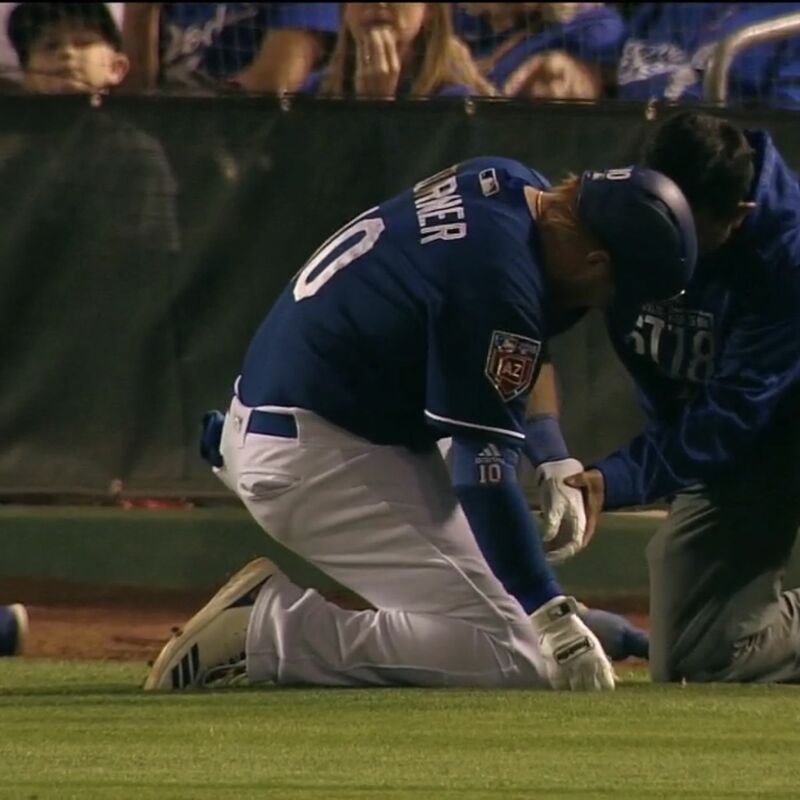 Justin Turner has a broken left wrist after being hit by a pitch during Los Angeles’ 3-1 victory over the Oakland Athletics on Monday night. Turner was struck by a pitch from right-hander Kendall Graveman in the first inning. Last year’s NLCS MVP grunted and winced as he jogged away from the plate toward the dugout, his hand hanging limp at his side. He was quickly visited by a trainer and replaced by Donovan Solano. General manager Farhan Zaidi said the team didn’t know yet how long Turner would be out, but it should be a matter of at least a few weeks. Turner says he’ll visit the doctor again Tuesday to hopefully learn more.